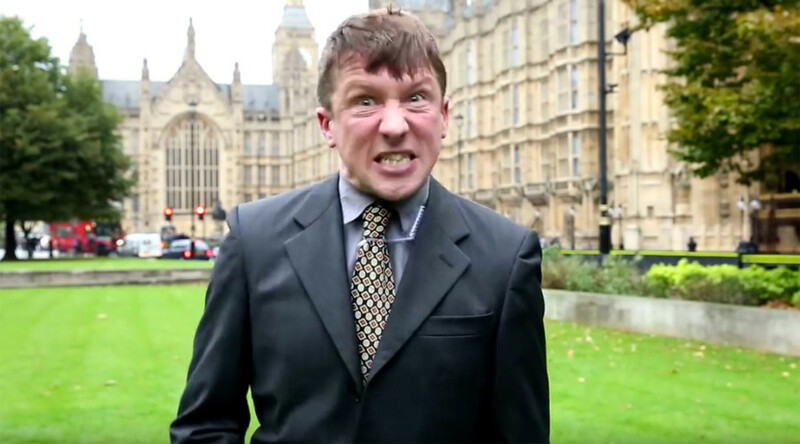 The world is waking up to Jonathan Pie, a spoof reporter created by British actor and comedian Tom Walker. The Pie character’s reports on political problems in an alternative way have become very popular with thousands of viewers on YouTube. Tom Walker puts it down to the public recognizing an element of truth in his jokes. RT: What made you pick on reporters and news outlets for the target of your comedy? Tom Walker: I hope I don’t come across this picking on you , so to speak. But it’s through necessity - I’m an actor, I wanted to create something that was easy to make, and for some reason I thought that this would work. The YouTube generation – they want small snippets of entertainment, and this seemed the way that I could create something that was two or three minutes long, and hopefully people would enjoy. I certainly didn’t expect, when I made that last one to be sat here in the studio talking to you - certainly not. RT: In your last video you said that ‘Russia is always bad.’ Russia is always portrayed in a bad way in the Western main stream media no matter. Would you agree with that? TW: I’m just an actor, it’s not for me to comment on the state of politics or the state of journalism, but Jonathan Pie, the character seems to have a problem with the way things are portrayed. I think you can have an opinion about anything you like, you can have an opinion about whether you think Russia is good, or Russia is bad; or Putin is good, or Putin is bad. But you can only come to that opinion if you are well-informed, and that is the media’s job – to inform. I think Jonathan Pie seems to get frustrated - the fact that I feel that he feels he doesn’t always get the opportunity to do that. There is quite often an agenda rather than just telling the news, telling facts. RT: In Russia people say that there's a grain of truth in every joke. Is it something that guided you perhaps in the way you make up your comedy videos? Sometimes we say funny things not to just laugh, but also to make people to think twice about something. RT: Jonathan Pie is your stage name. What’s next for him? TW: I wouldn’t say he’s stage name, he is a character that I’ve created. He’s new – there is a new clip that has become available on Jonathan Pie’s YouTube channel. A lot of people were commenting after this, a lot of people were saying: “Did he lose his job? He must have lost this job!” So I quite like the idea that we see what happens to him next. Of course he will be commenting on the news. In this particular episode he’s talking about the British National Health Service [NHS], and the reforms that are going on there. But actually it’s more about his relationship with this producer that is in his ear. And we find out that he has kept his job, but it’s safe to say he was given a bit of a talking to after his last outburst.